Together with set designer Charles Murdock Lucas, costume designer Dina Perez and lighting designer Kyle Grant, Alison formed a team to look at this list of American operas. Here she discusses the collaboration. As a team, we wanted to bring The Cradle Will Rock into the 21st century. After some discussion, it became apparent that we could not imagine a millennial Liberty Committee without a single female member, so we decided to recast the role of Editor Daily as a woman. Casting a female Editor Daily requires very few changes to the existing text, but it creates a series of subtle but important realignments in the power dynamics of the opera. Is this casting in keeping with Marc Blitzstein’s original intent? I cannot say for certain. However, since both Mr. and Mrs. Mister threaten and bribe members of the Steeltown middle class for their own gain, I would assert that any implied misogyny in the original libretto is peripheral, a byproduct of Blitzstein’s era, and it should not distract from the larger questions at hand in the opera: Who do the people work for? Does the engine of labor serve the many, or just the one? 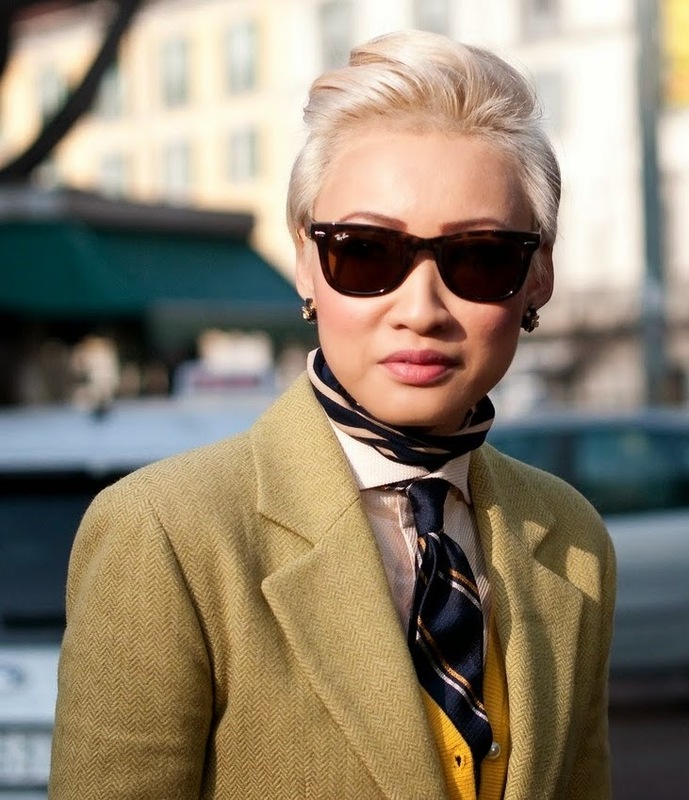 Is the selling of one’s efforts ever honorable or respectable? Over the past few decades, color-blind casting has slowly entered the mainstream for both opera and theatre. Costume designer Dina Perez’s renderings for our concept include singers from ethnically diverse backgrounds as members of the Liberty Committee in order to reflect the changing face of power today. However, since casting choices like this require no adjustments to Blitzstein’s original text and music, there is less pressure to justify them artistically, even though they are part of a charged debate about race and power in America. And so, my question is this - as ideas regarding gender and sexuality become more and more fluid, how can the opera community continue to engage in this discussion onstage? 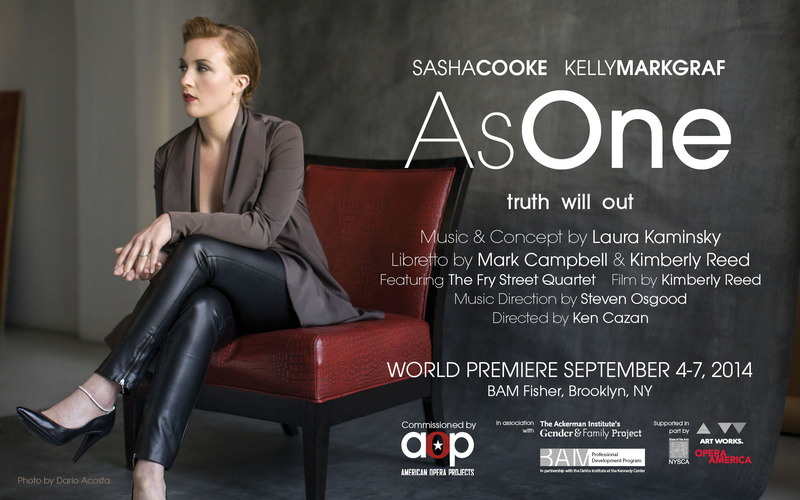 I’m encouraged to see many newly commissioned works that address this topic - including the recent performances of As One at American Opera Projects, where mezzo-soprano Sasha Cooke and baritone Kelly Markgraf shared the role of a transgender protagonist. Perhaps even more importantly, I’m inspired by the current wave of opera directors reexamining the standard repertoire in order to represent the world as they see it today. Through productions like these, we are making the case that opera - far from being a museum piece - can be truly state of the art. 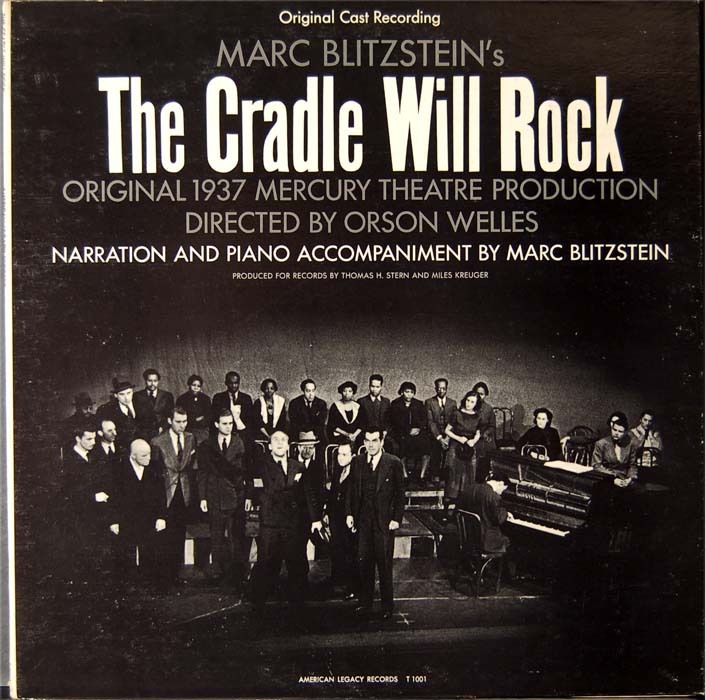 Among the many works of 20th century opera that Opera Think Tank researched for this series, one of the most fascinating and shocking was Marc Blizstein's The Cradle Will Rock. In a way, the piece is a social movement, inside of a musical, inside of a historical turning point in politics and theatre. Not only are the real events surrounding its opening night bizarre and convoluted, but the political kaleidoscope of capitalists, socialists, fascists, communists, freedom-fighters, union members, and New Deal government workers demonstrated in the piece and in real life is enough to draw a diagram of practically every political philosophy in existence. Tim Robbins dramatized the piece and the conflicted world in which it premiered in a star studded 1999 movie. Blitzstein called it a "labor-opera" and it was revived in 1960 with full orchestra and opera singers by the New York City Opera. That same decade, it was revived on Broadway, though like most Broadway revivals since, only a lone piano accompanied the singing actors. 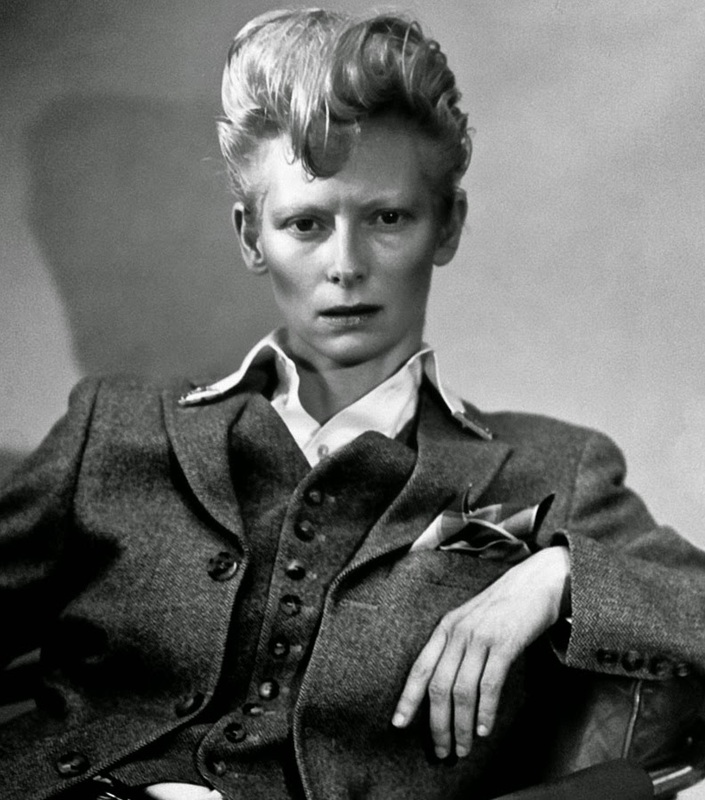 It's not surprising that a lot of directors found this piece exciting to dream on, so we have two posts on the piece. The first is below, from director Corinne Hayes, an emerging talent whose work has been seen at Marble City Opera, Central City Opera, and Opera North among others, and she has served as Assistant Director at companies such as Wolf Trap Opera Company and Dallas Opera. "Well, you can’t climb down and you can’t sit still…"
Labor struggles are at the fore of hot button news stories throughout the country—Scott Walker’s adversarial approach to teachers’ unions, Occupy Wall Street’s outcry against corporate greed, and, closer to home for many of us, the recent labor disputes at the Metropolitan Opera. Agree or disagree, the human value of labor is constantly being called into question—a question that results in lockouts and Right to Work, or, with patience and goodwill, in compromise and a renewed sense of shared purpose. The Cradle Will Rock sprang from a sweeping folio of reforms known as The New Deal—a mix of legislation and executive orders intended to put struggling Americans back to work following the stock market crash of 1929. From the pen of Marc Blitzstein, the eye of Orson Welles, and the pocketbook of the federal government, The Cradle Will Rock is aggressively pro-union, calling for the spectator to rally behind Larry Foreman and rise up against Mr. Mister (otherwise known as “The Man”). Nearing its 80th birthday, Cradle’s jazz-inflected tunes and unsentimental language resonate with a peculiar immediacy as the gulf between "them and us" grows ever wider. 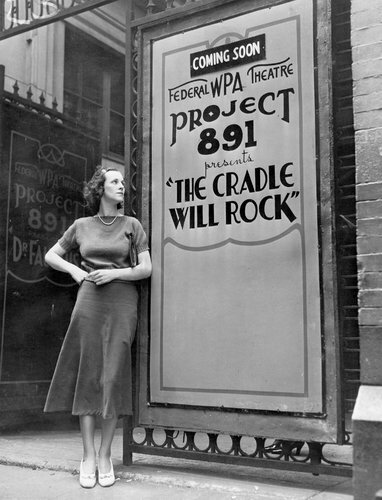 A bit of backstory: Shortly before Cradle was scheduled to open on Broadway, the Works Progress Administration shut down the project. 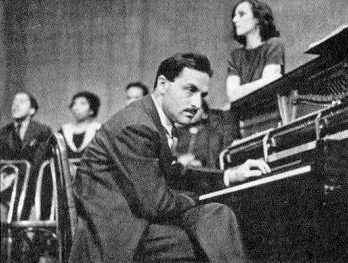 To avoid restrictions enacted by both the federal government and Actor’s Equity, Blitzstein and company opened the show with a single performer onstage—Blitzstein himself, serving as pianist and ersatz cast member—while the principal cast performed from seats throughout the house. 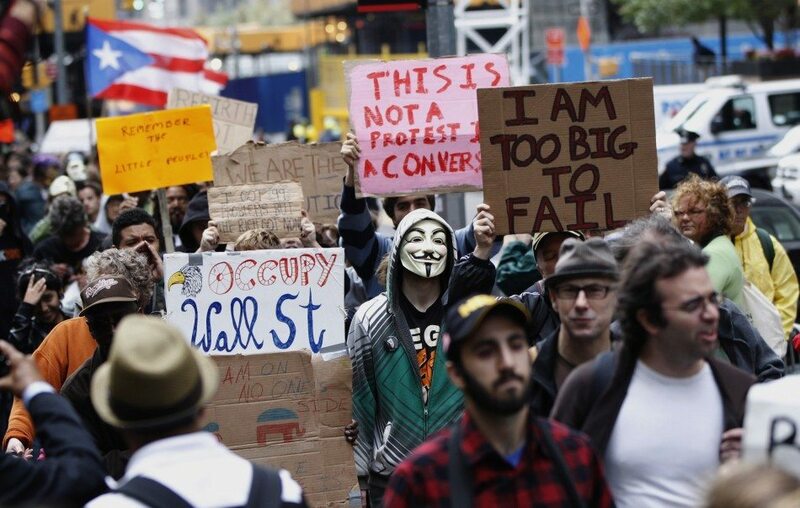 Protest is theater. We perform our grievances, driven by a desire to give them voice. I am reminded of something I witnessed at an Occupy encampment in Washington, D.C.: during an un-amplified speech, the speaker’s words were repeated by the group, to ensure that all in attendance were able to hear. As the people’s microphone took hold, the speaker’s words gained a tangible power, one that energized the group of protestors and gave pause to the bystanders. I see The Cradle Will Rock as a rallying point, a means to both unify and amplify. Imagine Cradle on the steps of the Wisconsin state capitol, on the grass of Zuccotti Park, in the streets of Steeltown, USA. Broken into vignettes, the piece is inherently flexible in its presentation: archetypal characters play out episodes addressing corruption, prostitution (in its many guises), labor issues, laced through with a growing belief in the possibility of positive change. Pull Cradle apart. Present Moll to the women's club and Editor Daily to the mainstream press. Pull it out of the theater, scatter the piece through the community, turn its songs into rallying cries. If nothing else, The Cradle Will Rock is art meant to work. No lights, no costumes, no opening night gala—just a group of people driven by a common vision, out to do nothing more than change the world. Next in our opera week of wonders we look at Leonard Bernstein's Candide, an operetta based on the novella by Voltaire. You can read the novella online, but particularly illuminating is the last chapter here, where the moral of the outlandish story reveals itself. Considering the challenge of adapting Voltaire and the beautiful simplicity of the libretto's poetry, it's interesting to note that the book was a decades-long work in progress begun by Lillian Hellman, after which Bernstein collaborated with director Harold Prince and new writers on the revival, including Dorothy Parker, Richard Wilbur (who wrote most of the lyrics, including those to "Glitter and Be Gay"), John LaTouche, James Agee, Stephen Sondheim, and many others, including Bernstein and his wife. The first version, featuring Barbara Cook as Cunegonde, opened on Broadway in 1956 and Harold Prince revived the piece again on Broadway as late as 1997. If only more operas could find their path to the Great White Way over the course of four decades! Our contributor for this piece is director Andrea Dorf McGray, who is based in the Washington, D.C. area and has done a great deal of work for Washington National Opera and Maryland Opera Studio. Having done a semi-staged production of basically the concert version of the show, there are a slew of themes, aspects and questions that continue to fascinate me about this opera. Here are a few. 1) The notion of the personal responsibility that each of us carries for our own lives and for our own little parts of the world. After all the dizzying ins and outs of the story, the round-the-world trip of exotic locations, unusual people and twists in the plot, the whole opera zeros in like a laser on the final two numbers, the reprise of “Universal Good,” followed by “Make our Garden Grow.” And its here that I believe we find the central question that the story asks: how do we make sense of life? “Life is neither good, nor bad. Life is life, and all we know. What I find in these pieces of text, and in the soul-stirring music to which they are set, is a call to believe that though life is far from perfect, and indeed often contains horrid, beyond awful things, we do have a purpose here. It is to join together (“come and be my wife”), to work the daily tasks of life (“build our house, chop our wood”), and in so doing to create our own gardens of Eden (“make our garden grow”). 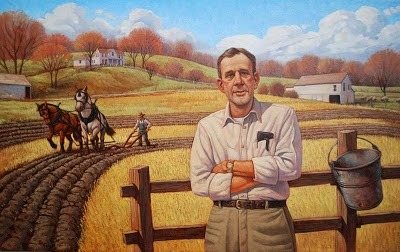 Paradise is not out there to be found; it must be grown right here, in each of our corners of the land. We are the ones responsible for the planting, the nurturing, the reaping, and the re-sowing; we are the ones responsible for the present and future hope and happiness of ourselves and our communities. Candide’s world shatters over and over again throughout the story. With his faith in Optimism so strongly intact at the beginning, he is able to rally a few times. As the story plays out, however, that faith begins to shake, and he starts to rely more on his wits, his friends, and the sustaining strength that his love for Cunegonde provides. But it is in “Nothing More Than This” that Candide hits bottom; he realizes that this ideal woman that he has carried in his heart, this dream that kept him going through all manner of hell, this “angel face with flaxen hair,” is just a money-grubbing, shallow person. Candide had confidently centered the meaning of his life on the love he felt for Cunegonde, a woman, it turns out, whose real core he did not know. At the end of his journey, he shifts to searching for the meaning of life by engaging in the small, daily tasks of life – chopping wood, baking bread, growing food, building shelter. There is something quite spiritual in this shift, in the recognition that the meaning of life is not a static answer to be found, but rather it’s a dynamic act with which we must engage. Two writers that I would like to saturate myself in further when considering a full production of Candide are Wendell Berry and Anne Lamott. I imagine that what these two authors have to say about the little things in life, and how the little things actively create the ever-changing big picture of life, would be very useful in thinking more deeply about the story and about Candide’s journey. 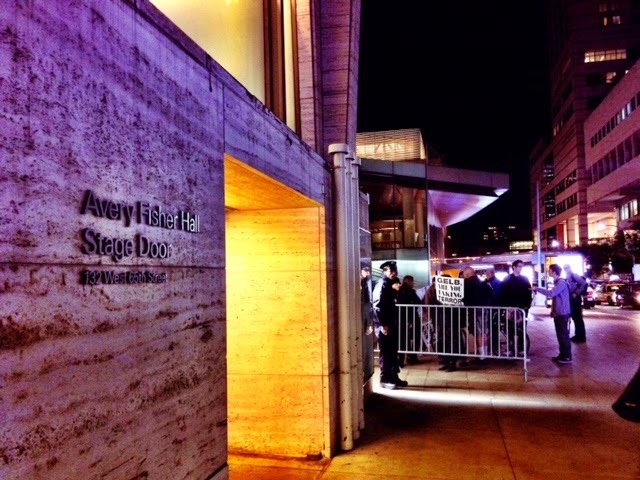 3) The comedy and tragedy of this opera turn on a dime. Finding the right spin so that the two sides of the one coin that is life – the comedy and the tragedy – are examined, belly-laughed over, cried tears over, and ultimately lifted up – is the great joy of rehearsing and producing this opera. In our last post we learned about a glamorous and dissonant production of Virgil Thomson's Four Saints in Three Acts, brought to us by director Mary Birnbaum. Here we look at this work, sometimes called the "great-great-grandparent of performance art" through a very different lens. Andrea Andresakis is a native New Yorker, and after a successful career as a dancer (dancing in everything from the original Fame to Zefferelli's Turandot), she now spends her time as a director and choreographer for opera, theatre, musicals, and dance works. Here, Andrea breaks down the many ways in which Four Saints intrigues her as a director. The opera has been described as ritualistic, but not religious. Having experienced diverse cultures from over thirty countries, I would be very interested in drawing upon these cultures for my dream production. 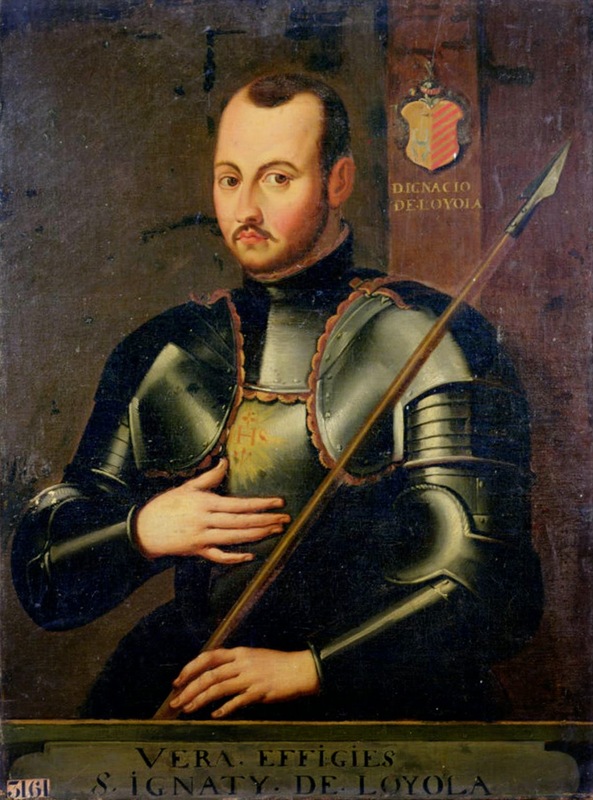 I would incorporate practices from Europe (as the libretto takes place in Spain) and the US (as the composer was a Southern Baptist) as well as South America, Japan and India (where I have lived and worked). Taking a world view would illustrate how many basic components are shared. Icons, relics, holy water, bells, gongs, candles, fire, halos and angels are used in religions from Christianity to Hinduism. In India, I was surprised to see cupids carved on 6th century portraits of Hindi gods. By abstracting the common physical components of various religious rituals, I would hope to make the opera accessible to people from all cultures and lifestyles. Adding to the cultural mish-mash is the fact that the original cast of Four Saints in Three Acts, which takes place in Spain, was black. Thomson said the African-American cast really “got it”, which made sense considering the score was written from Thomson’s Baptist background. 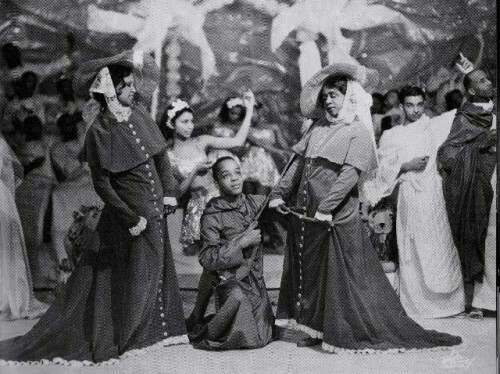 The Baptist church developed in Trinidad as a mixture of European Christianity with African beliefs. Another combination of Spanish Catholicism and African beliefs exists in Brazil in the form of Candomble. It also takes shape in some startling images, like the site of a prosthetic leg hanging from the ceiling of a gilded Cathedral. Balancing serious qualities such as piety and discipline with humor is crucial in Four Saints; and who doesn’t love a prosthetic limb joke, a la Monty Python? Another source of humor is spoofing musical theatre conventions. The opening of Four Saints reminds me of Andrew Lloyd Webber’s Joseph and the Amazing Technicolor Dreamcoat. The picnic scene reminds me of the Act Two opening of Gilbert and Sullivan’s The Gondoliers. The saints sitting around in heaven remind me of both Princess Ida and of Carousel. Combining musical theatre aesthetic with colorful religious festivities, my sets and costumes would reflect the sense of lightness and fun which Thomson stresses is so important. This pertains to all creative endeavors. He also said his that his intention was “evoking the inner gaiety and the strength of lives consecrated to a non-materialistic end." Realizing this core theme would be the focus of my production. There's hardly any piece in the operatic repertoire as enigmatic as Virgil Thomson's Four Saints in Three Acts. You can read Gertrude Stein's libretto here, but you might need a stiff drink. The writing has been called "verbal nonsense" or merely that Stein was more interested in the sounds of words than what they meant. Thomson's score is a collage of non-operatic American styles - hymns, marching band, parlor tunes - and he described the piece himself as "virtually a complete summary of my Protestant childhood in Missouri." His musical life was indeed colorful, and in by the age of sixteen he could be found accompanying silent films on the piano and Baptist choirs on the organ in the same week. It may be interesting to note that it originally featured an all-black cast (who apparently had the clear diction Stein desired), and premiered in 1934, the same year as Cole Porter's Anything Goes! We are lucky to have two very different artists weigh in on how to approach this challenging work. The first is Mary Birnbaum, who directs both theatre and opera and also serves as the Associate Director of the Artist Diploma in Opera Studies Program at Juilliard. Our next post will feature the writing of Andrea Andresakis, who takes a very different approach, but no less interesting. We searched for a way to present the show that would be as dissonant in a contemporary context as the original staging was in its own time. 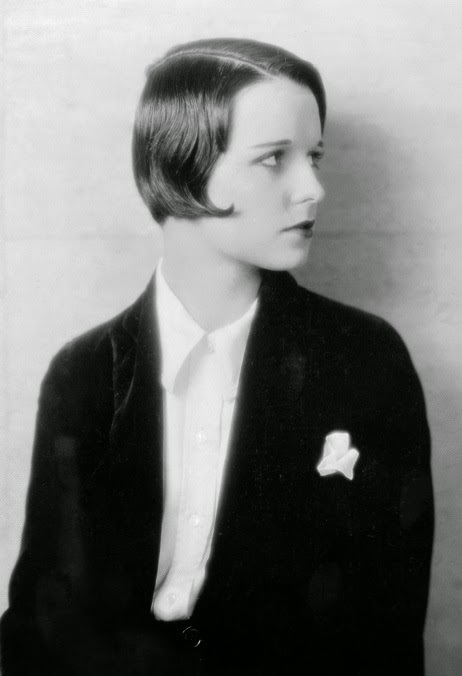 In trying to rebel against Stein and Thompson, we wound up using what they were rebelling against: the American theater of the 1930s: representational, beautiful and divorced from the audience. 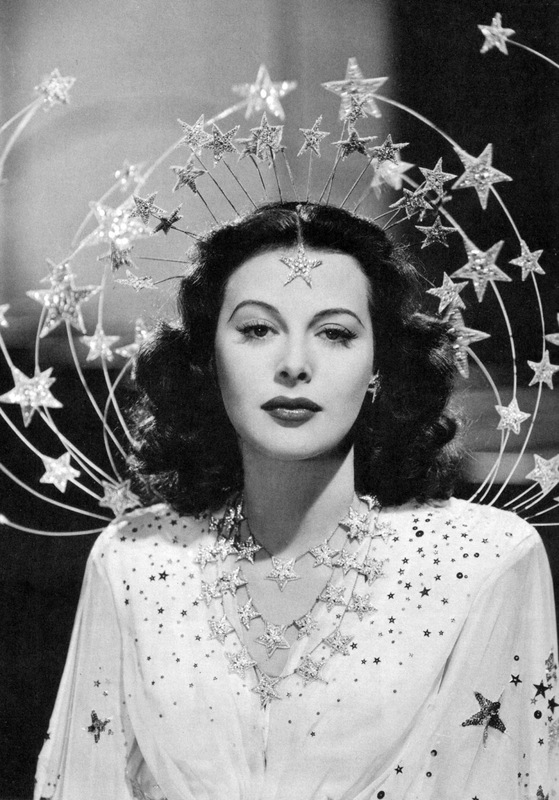 Our production of Four Saints in Three Acts will slam the theatrical conventions of the 1930s -- Follies divas, historical tableaux vivant and religious pageantry -- up against the efforts of Stein and Thompson, turning their rebellion on its head and creating a new, exciting dissonance. On stage is a proscenium theater wherein the scenes from the lives of the saints are playfully depicted, replete with charming historical inaccuracies. This is a church of art, where chorus girls and boys portray saints and collaborate with stagehands to create a show and inspire the suspension of disbelief; theatrical magic stands in for divinity. As Stein and Thompson point out, saints and artists have a lot in common: both try to share their visions and encounter problems when others doubt their convictions. Both feel out of sync with the conventions of their time yet attempt to connect with a type of timeless truth. There's even an onstage audience for the play, an elderly couple (the Commère and Compère) who are constantly trying to make sense out of the nonsense in front of them, rifling through their programs to try to find out what scene they’re watching. We watch the Commère and Compère watch a play, but also we are aligned with them, delighted to find that we share their perplexed, outsider reactions from time to time. The staging begins as a tightly ordered machine, highly choreographed and representational. 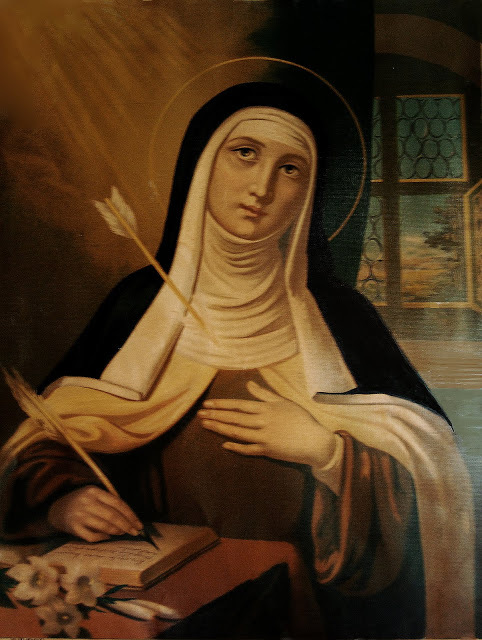 The ensemble saints earnestly replay St. Teresa’s life in Avila, avoiding camp but occasionally stumbling into the ridiculous. Gradually, however, the rules and norms of the 1930s theater stop working, and the abstract starts to take over in an unexpectedly beautiful way. As scenes progress, no set piece is ever struck, the vines of the garden become bedecked with stars. The established order is so confused that audience and artists alike are forced to join Stein and Thompson in their celebration of the essential illogical nature of art, life and God. Even the strict boundary between actor and audience dissolves; the Commère and Compère ecstatically find themselves on the stage and some of the showgirls wind up in the actual opera house. The houselights come up to reveal humanity everywhere. We concede that things can both be and not be, that the divine both is and is not a “fact". The prologue of the piece is played downstage of a drop that shows the outside of the theater on stage left and the stage door on stage right. As we are told, to orchestral oom-pah-pahs, what's going to happen, we see a continual stream of bundled up chorus girls enter the stage door in time for half hour call and then fancy fur-clad audience members enter the theater. Finally, the Marquee lights up, reading "FOUR SAINTS IN THREE ACTS" and the performance is ready to begin, the drop flies away and we are looking at the house of the theater, where the Commère and Compère have bustled to their seats in a convenient balcony, opera glasses in hand and sucking on sugar free candy. As they wait for the houselights to dim, they read each other the cast list aloud, "saint... saint... saint..." trying to keep track of "who's who". At the end of the prologue, the curtain inside the smaller proscenium opens on the steps of Avila Cathedral, and the real show begins. In the midst of our online forum on American works for National Opera Week, we couldn't ignore the extraordinary opening of John Adams's The Death of Klinghoffer last Monday. So here are some thoughts. "Excuse me, how do I get into the Met?" "For what?" he flips back. I was rather disappointed that the protesters were not allowed onto the plaza itself - do they not have a right to assemble in a public plaza? But then because they were mostly on Columbus Avenue, and unshielded by the reverent buildings of Lincoln Center, you could hear their noise all across Broadway. So perhaps more people heard about what was going on than if they'd been allowed front and center. Anyway, it was an amazing evening nevertheless, and leave it to The New Yorker and Mr. Alex Ross to give a succinct and sensitive response to the events. 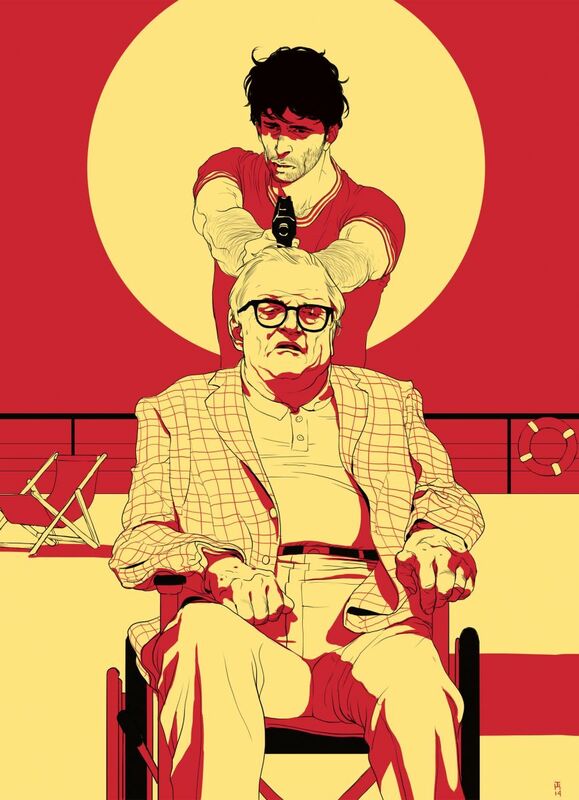 I found the column's illustration by Tomer Hanuka less insightful than Mr. Rose's prose, however, as the dancer/actor playing the assailant Omar, Jesse Kovarsky, was not scary or brawny. He was indeed a tiny dancer, not much taller than five feet and the body of a teenage boy, costumed simply, in a red T-shirt and blue pants. His form slowly attacking Mr. Klinghoffer was so frightening precisely because the evil was so small, so young, and clearly so impressionable. It makes the deed even more horrific. The evil is clearly much greater and more insidious than a single deranged murderer. Alan Opie, as Leon Klinghoffer, and Jesse Kovarsky, as the terrorist Omar, on board the Achille Lauro, in John Adams’s opera. Illustration by Tomer Hanuka. However, the illustration is accurate in the staging - in Tom Robbins's production, the murder is committed onstage, as opposed to the the score's indication of simply an offstage gunshot, an indication that most past productions have followed, to my knowledge. From my seat in a house left balcony box, the scene was terrifying and mesmerizing: this tiny young man, goaded and haunted by the voice of his mother to serve his homeland with violence, slowly and cowardly creeping up behind a noble and brave elderly hostage, pointing his gun through the man's back and straight at the audience; gold light from behind him spilling, flowing in a treacherous force forward, so the entire house of onlookers was ablaze in this bright hate. The music twists and wrenches and roars. And then the gunshot. And nothing. Some red. A man slumped in his chair. The sombre, anti-climactic silence of death. I was left staring at the extra dancers, dressed as white crew members, unlocking the manual brakes of his wheelchair as they took it offstage. Why do we need works of art that depict such terrible murders? Such insurmountable sins of humanity? Because a piece like John Adams's The Death of Klinghoffer reminds me that a tiny bit of hate can do a world of hurt. Just like the anti-semitism that led to the Holocaust, or the animosity that led to gunshots in Ferguson: it starts in small forms, in small packages, and is dismissed. Until there are gunshots. The piece also reminds me how culture and behavior is passed through generations: the British woman behaves as a hostage just how she did during WWII; the anger of the Palestinians is passed along each generation. When each generation has known the same feelings and the same behavior, they forget any other way of living. I also must give this piece credit not only for it's beautiful and poignant ending, sung gorgeously by Michaela Martens, but its specific portrayal of Marilyn Klinghoffer as a no-nonsense, wise, beautiful, brave, simple, sensitive, strong woman. And one who is a low mezzo, a fach usually relegated to witches and crones. I can't think of any character in the operatic repertoire quite like Marilyn Klinghoffer, and just for that, Alice Goodman and John Adams deserve an ovation. "[Adams's opera] offers no real insight into the historical reality and the senseless murder of an American Jew. It rationalizes, romanticizes, and legitimizes the terrorist murder of our father...and sullies the memory of a fine, principled, sweet man..."
I read this after seeing the piece on Monday night, and am left bewildered. Not only did I not feel that any action of the story was legitimized, but all the kind words the daughters wrote about their father were things I understood from watching his character on stage. Again, the creators deserve praise for this. Above all, I know that without this opera, the name Mr. Leon Klinghoffer would mean nothing to me, nor to the large majority of Met audiences. We would not know what he believed in, nor how he died. Great art tells stories that must be told. At the opening night reception, John Adams remarked that he was merely a vessel through which the piece passed through, and the opera's artists made real. He was grateful. So should we be. Welcome to National Opera Week and the hundreds of events occurring nationwide. As we begin our collection of posts from women opera directors on American works, we aim to create a fascinating collage of some of the medium's finest thinkers, and a window into a few of the greatest operatic works from the 20th century. Tweet @operathink and #operaweek, and JOIN this blog to share the news! We begin with a great story for Hallow's Eve - Jack Beeson's Lizzie Borden. You can watch the original New York City Opera production here, directed by Rhoda Levine. Our first contributing artist is stage director Sarah Meyers, a staff director at the Metropolitan Opera in New York since 2006, who is also finishing a doctorate at Columbia. Here she tells a great story about our dear old Lizzie. Lizzie Borden is an exploration of evil, but that evil is not Lizzie’s alone. Rather the opera explores the corrosive, oppressive, persistent evil of the Borden household, of a family turned inside out by repression, secrets, and betrayal. 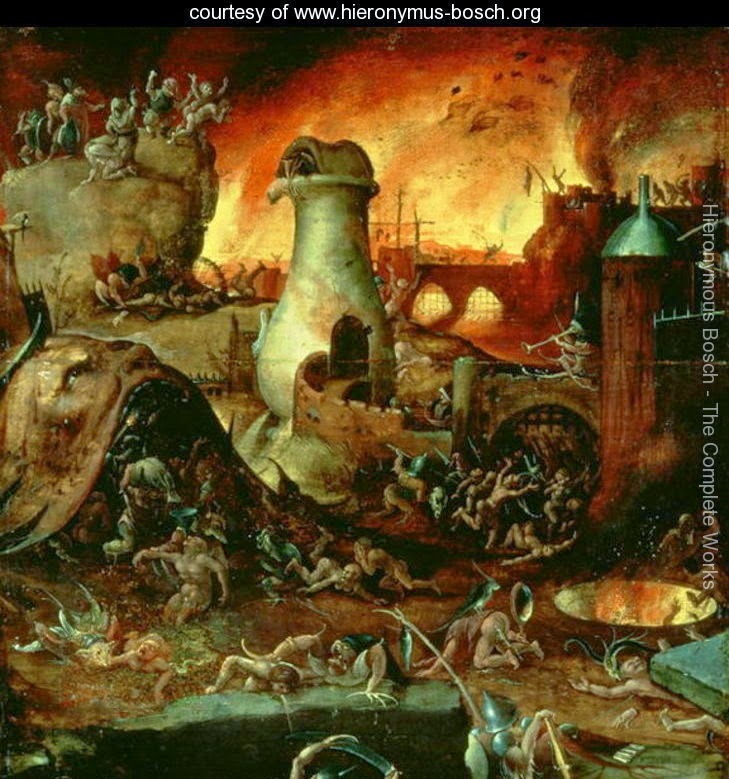 Darkness permeates their world, and oozes into life through cruelty after petty cruelty. Much like a Shakespearean play, the opera transfers the psychological agitation and turmoil onto the environment. The spirit of dead mother Evangeline hangs on to the house – first literally, in the portrait upon the wall, then figuratively, as Lizzie becomes a double of her mother. The house watches, shadows pursue, the fog rolls in malevolent and heavy from the sea. The garden is rife with pests and bugs. Hatred and resentment have made the space itself sick, and sickening. The walls – Lizzie repeats, over and over again – the walls. It reminds me of a gothic fiction story I read many years ago, The Yellow Wallpaper, in which the winding patterns of vines in a woman’s bedroom drive her mad. But is it her insanity that in fact transforms the space, or does the room really have its own dark intentions? That story, like Lizzie Borden, suggests the possibility that both are true. As madness develops, yes, it transforms the space around us. But perhaps more frightening is the idea that space itself can become sinister, and that the inanimate – charged perhaps by our own hatred and fear – can come to life with its own dark purpose. 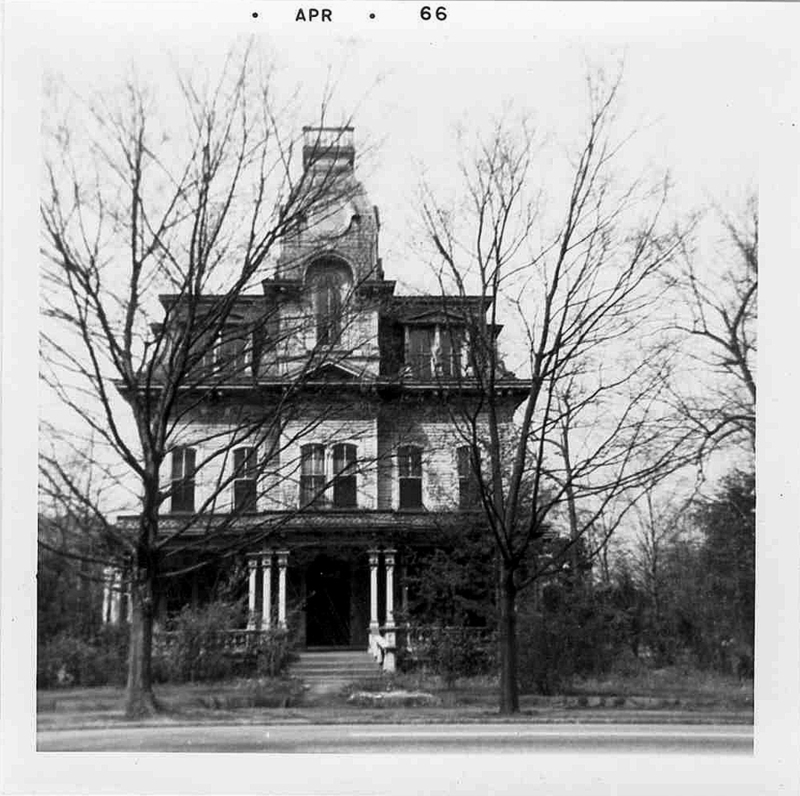 The haunted house. 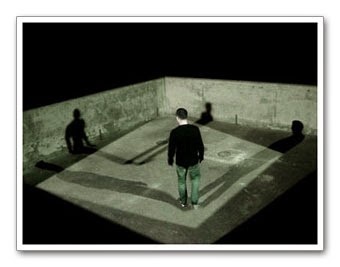 I’m currently at work on a dissertation at Columbia about exactly this type of space in contemporary performance – spaces which defy logic, which articulate a very specific form of anxiety. I’ve been studying how theatrical performance can get under our skin and inhabit our subconscious. 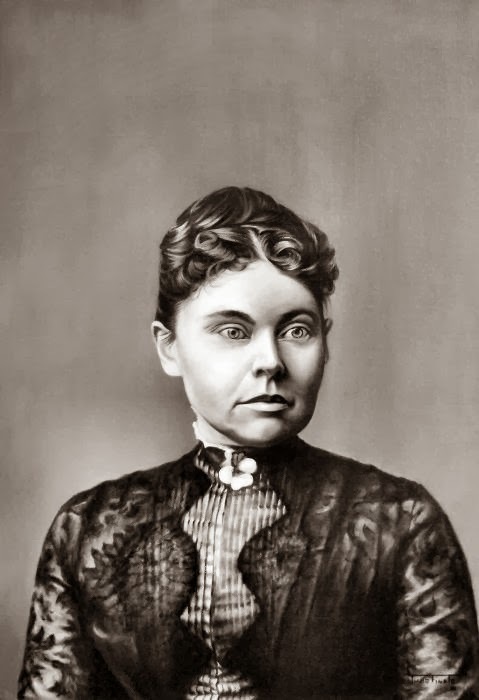 So naturally, I would love to direct Lizzie Borden. It would be an ideal opportunity to explore the terrifying potential of theatrical space. Without doing a full design process, it is of course hard to say what that would entail, but I know what the key elements would be. We at OPERA THINK TANK have been very busy connecting with dozens of outstanding women opera directors at every level, all over the world, and the enthusiasm for an online forum to connect and converse has been overwhelming. We eagerly await celebrating so much of this talent and insight at our online forum during Opera America's National Opera Week. If you're interested in being a part of this online forum, please hit the blue JOIN THIS SITE button to follow this blog. If you're a professional woman opera director and have not yet received an invitation to post, please email us at operathinktank@gmail.com. We will be discussing the list below of American operas. What interests you about these pieces? What are the challenges? What would help them gain more momentum as part of the world's opera repertoire? Many artists will be posting about specific titles, and their ideas or questions about the work. We are collecting content now and will be posting daily during National Opera Week, October 24th through November 2nd. Positive comments, questions, and conversations are encouraged. The operas we will use as conversation points are listed below. This list was generated by Opera America as part of the Director Designer Showcase of this past fall, though this online forum will have nothing to do with that program, and its deadline has passed. The list serves simply as a conversation starter, however some artists may have submitted a showcase application and may choose to share their team's work. We're looking forward to some fascinating insights and conversations!